Panorama view, not to scale. Includes both the Schuylkill and Delaware Rivers, with advertisements highlighting the individual businesses along the rivers. The impetus for this publication in 1864 may have had to do with promoting local fundraising fairs, held to support the Union cause. 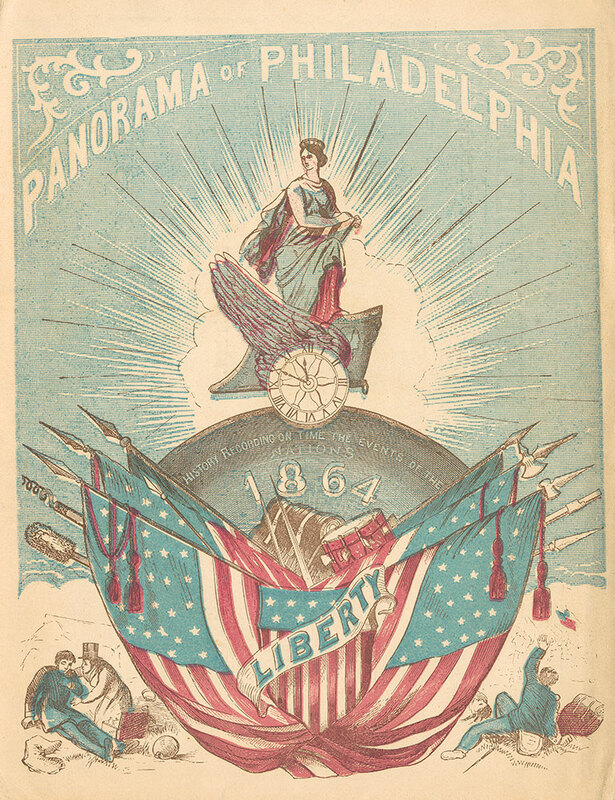 A major locale for these events was Philadelphia, with the largest one being the Great Central Fair, held on Logan Circle, June 1864. **NOTE**: To view the panorama described above, please click the "View PDF" button.